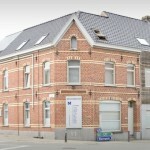 VAN MARCKE lawyers in Anzegem is the result of the dynamic growth in the practice of Claude Van Marcke. Today, the office has fifteen full-time lawyers, each of them well-grounded in their specific legal domain, and four clerical staff. Thanks to our central location, our office has a wide regional ‘pull’. Outside the West-Flemish province too, we are professionally active. In spite of the in-depth specialization, VAN MARCKE lawyers is still deeply empathetic and accessible. Every business contact is on a personal, one-to-one basis and expressly tailored to the Client’s particular needs. The raison d’être for a reputable law firm is legal disputes,… but much more besides. As ‘prevention’, here too, ‘is better than cure’, VAN MARCKE lawyers is your man for professional guidance and specialist support (negotiations, legal assistance and advice, mediation, out-of-court settlements, loss adjustment and judicial expertise). For not every piece of business need be a lawsuit! Our approach is results-driven and solutions-led. Quick completion of the litigation is another key principle. Where necessary and wherever possible we act, before all else, as a mediator or arbitrator. We deal straightaway with every incoming query or incoming dossier (case file).